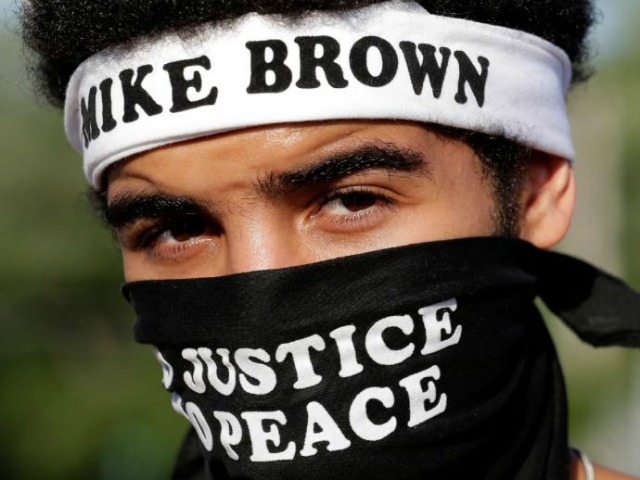 Although the media have since lost interest, protests continue to rage in Ferguson, Missouri. This weekend, police arrested a driver after protesters charged that he had “bumped” them with his car as they blocked the street. Two protesters were also arrested for damaging the man’s car and resisting police. The incident occurred on Saturday, September 20 as about 35 protesters blocked streets in Ferguson once again protesting the August shooting of teenager Michael Brown. The protesters were blocking Florissant Road about a block from the police department when they claim that a man who was attempting to drive past them “bumped” one of them with his vehicle. Protesters surrounded the car and damaged it, according to Ferguson Police Chief Thomas Jackson. After the arrests, the number of protesters swelled to 100 people, and the protest moved to the sidewalk outside the police station. Protesters also alleged that a bystander struck one of them in a protest earlier that morning at the Ferguson Farmers Market. No arrests were made in that incident. The media have long since given up paying attention to Ferguson, but protests have never let up in the beleaguered city. Protesters have continued weekly to roam the city demonstrating against police there. During one protest on September 8, a month after the shooting, one protester insisted that residents were not about to forget. On September 10 police rushed to stop protesters who planned to shut down I-70. These incidents have been a near daily occurrence in Ferguson.